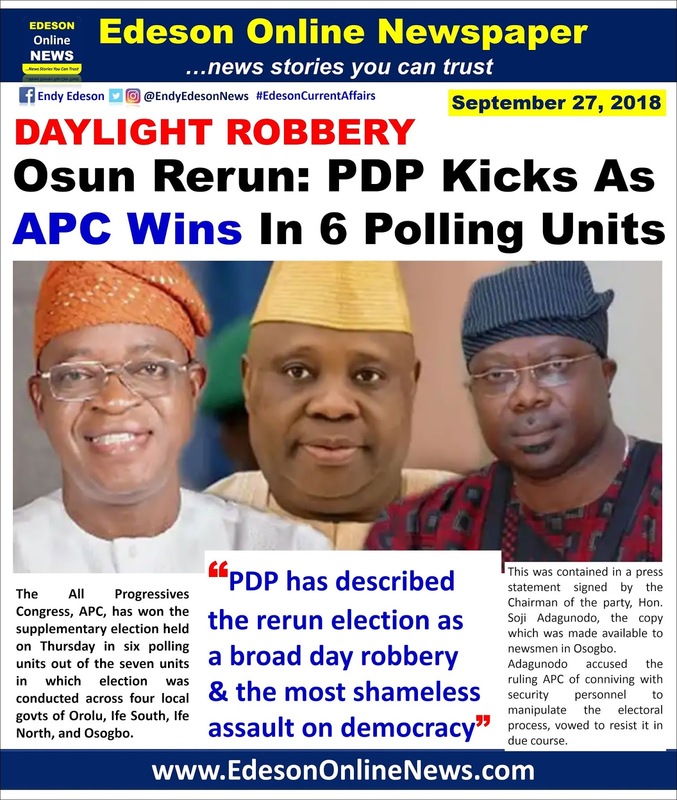 Luc Ifans, you can as well provide evidence to show that the accusation of those who described the Osun re-run election as a daylight robbery is false!!! The APC is destroying the ladder (provided by the PDP) with which it climbed up -- the ladder of good and fair electoral process that is. All of us know what usually happens to anybody that does this if he or she wants to come down. Of course, the person would fall greatly and break his or her bones or even die because the ladder which he or she would have used to climb down gently had been foolishly destroyed by him or her! So, APC should be careful and should do things the right way else it falls and destroys itself. 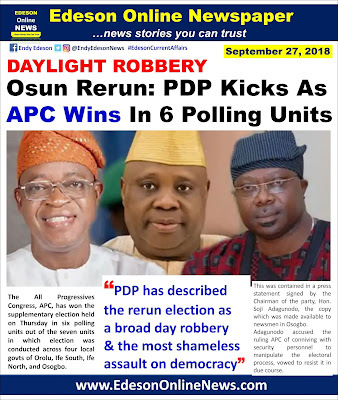 I pity the people of Osun especially the workers & pensioners, the lord is their strength and avenger, their vote could not count despite all their effort. I weep for my dear country ( NIGERIA).